PRIMA PORTA Antiquities was founded in 2003 by Dr. Matthias Renz, an German archaeologist and economist. Specializing in ancient works of art our clients are successful individuals, institutions and strategic investors. The professional trade of ancient art has flourished globally for more than two hundred years. Since, collecting antiquities has always been a natural part of a sophisticated lifestyle, touching two aspects – timeless beauty and historical value. We are proud about the fact that we are the link between art and society, possessing a specialist knowledge and education equally to curators and art historians. At work, we combine the passion of connoisseurship and knowledge with practical experience and assessment of current market situations. We offer all collectors a unique opportunity to admire objects, the possibility to deepen their knowledge and cultivate their taste. 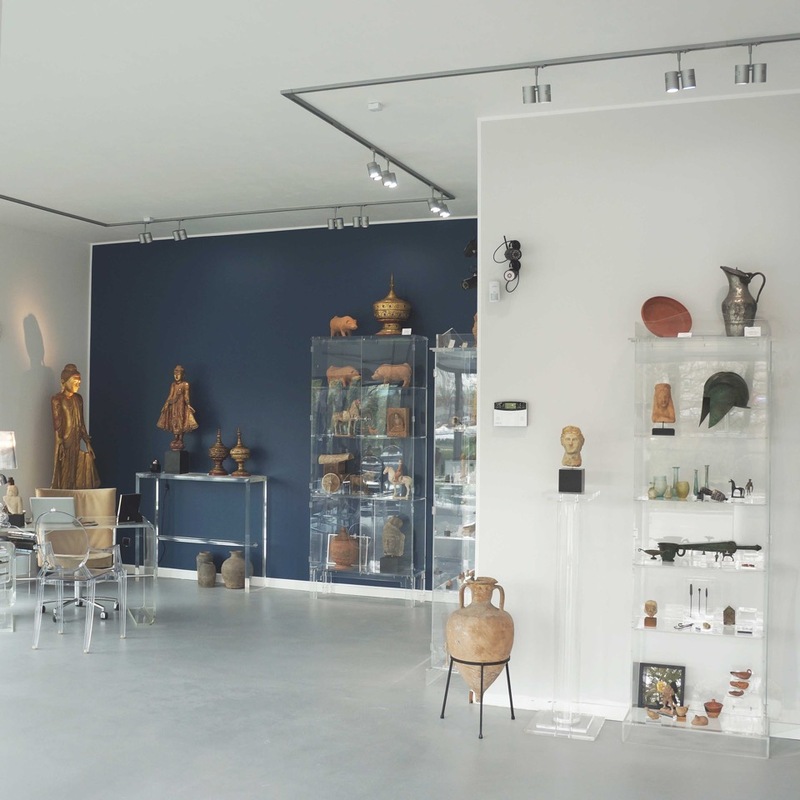 The gallery presents more than 300 artifacts from many ancient cultures in various sizes and prices, satisfying both – beginners and highly demanding collectors. Our offer allows you to choose an object for your own collection, for investment or as an unique gift. Each work of art is selected by its universal beauty, artistic expression and historical context. To achieve this goal, PRIMA PORTA Antiquities acquires from sources like museums, art foundations, international collectors, auctions and galleries. As a member of CINOA, the principal international confederation of Art & Antique Dealer, which has strict standards for accepting members, we feel bound to their severe code of expertise, quality, integrity and ethics. We have developed a tracabilty procedure for all ancient works of art, which is indispensable in the industry of the antiquities trade. Extensive analysis and historic recognition required to establish the authenticity of ancient works of art are conducted to ensure their authenticity. Many artifacts have tests performed by international laboratories confirming their individual age in a scientific way. We believe in values and the authenticity of ancient works of art. Therefore we offer a flexible trade-up policy tailor-made for our customers, which is unique in the ancient art market and are explained in our Terms & Conditions. This enables us to offer an excellent warranty to our customers. Any use of the pages material requires our prior written consensus. We do not take any responsibility for any of the information published on this page. We do our best to keep any of the information on our webpage actual and correct. Descriptions of objects and their prices are subject to change. We cannot guarantee it’s completeness, actuality and/or correctness at any time and therefore expressly disclaim all representations of warranties of any kind. We assume no responsibility for the content of other webpages linked to our webpage. The content on our webpage is provided for general information only and does not constitute an advise in any respect. All our objects are unique and are sold on first-come-first-served basis in the actual condition they are (‘as is’). Offers made by us are subject to the availability of the objects. We reserve the right to discard any order placed with us. An order placed and accepted by us constitutes a legal binding contract. PRIMA PORTA Matthias Renz acts as a seller and/or as an intermediate between sellers and customers. You are entitled to cancel your contract provided that you exercise your right no longer than 14 days after the day on which you received the object(s) informing us on info@primaporta-antiquities.com under the condition, that the object(s) have not been ordered especially for you. The object(s) have to be returned to us lawfully on your costs in the same condition as sent to you not later than 14 days of informing us about the cancellation. We will reimburse you by the method used to pay for the original transaction the amount in relation to the object(s) to which your cancellation rights apply. We keep the right to make a deduction from the reimbursement for loss in value of any object(s) supplied, if the loss is the result of improper handling by you or any of your representatives. We will make the reimbursement no later than 14 days after the day the goods are received back. We send your object(s) in your behalf and as a convenience for our customers, objects prices shown on our webpage already include the separate handling, packing and shipping fee to Europe, US and Canada. Other destinations on request. Please allow several working days for secure packing and handling. The ownership is passed on to the customer in the moment of handing over of the object(s) to the carrier, local customs authorities and/or customs agent. 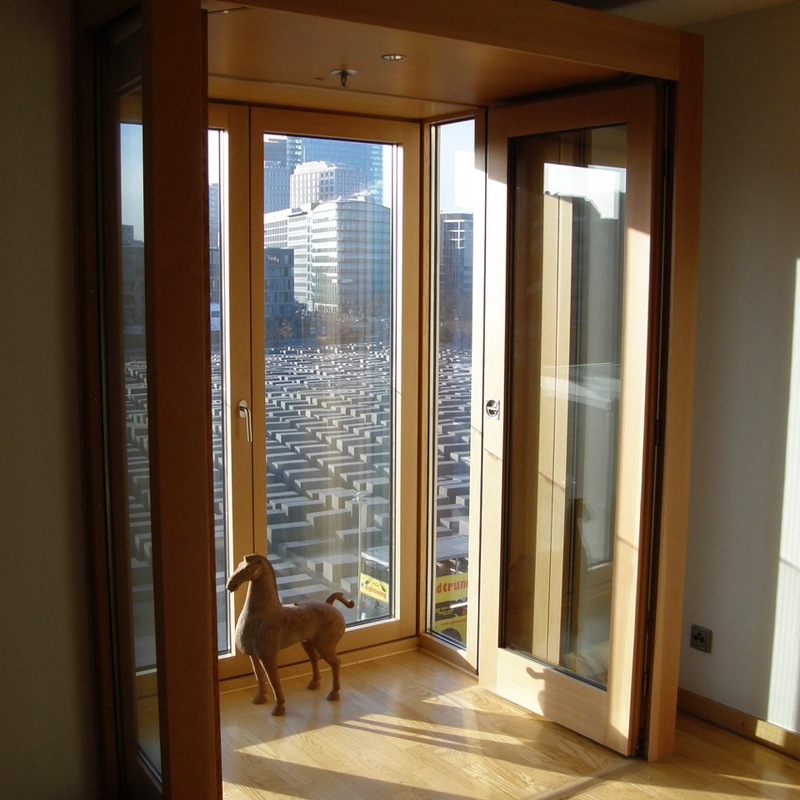 Your shipment is insured to it’s actual value with an maximum of up to EUR 5,000.00. In case a higher insured value or a specific courier is desired, please contact us immediately at info@primaporta-antiquities.com. Additional charges might apply. Antiquities pass duty free to most western countries including most US states. Nevertheless the liability and the applicable customs regulations of import requirements in the country of destination are the sole responsibility of the customer. We cannot be held responsible for any delays, damage, loss or failures of any kind to obtain the rights or permits necessary to export or import the object(s) purchased from us. Import Tax and/or payable VAT and/or other duties and fees depends on the country of destination. Payment of such and/or any other disputes with customs authorities are the sole responsibility of the customer. As a member of CINOA, the principal international confederation of Art & Antique Dealer, which has strict standards for accepting members, we feel bound to their severe code of expertise, quality, integrity and ethics. We are dedicated to the satisfaction of our customers and the authenticity of our ancient art works. Any ancient work of art sold by us is described to the best of our knowledge. 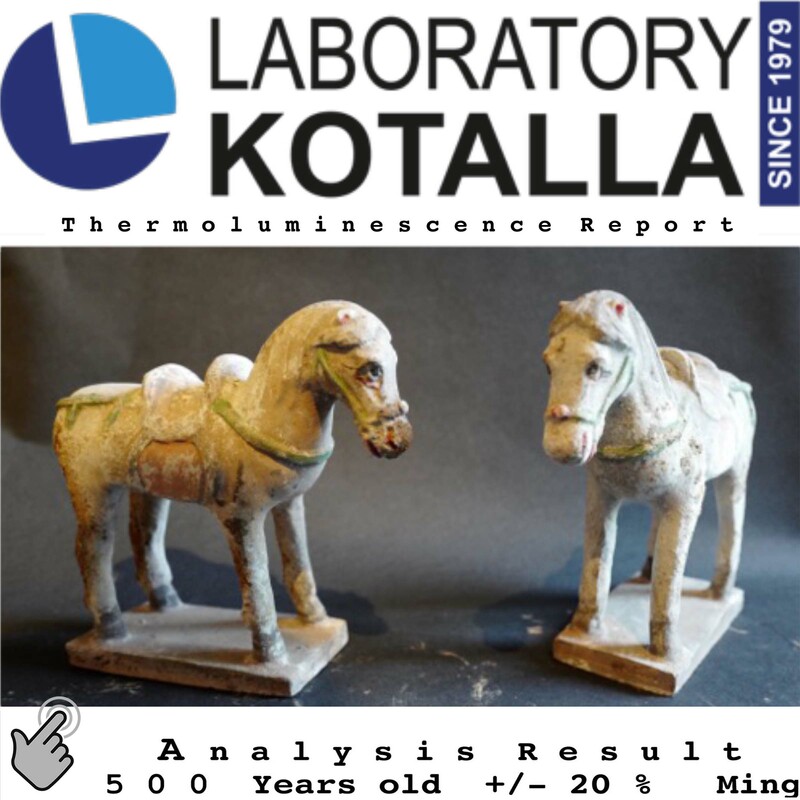 This extends from our and/or other qualified experience, scholarly historical analysis, publicly accessible scientific materials, general knowledge and/or information we have received with the objects to scientific tests like C14 carbon dating, TL-testing, X-raying or similar. We will aim to provide the customer with as much information as possible depending on availability as to authorship, origin, date, age, medium, attribution, genuineness, provenance or condition. As a statement of opinion it does not constitute an assured property. Without exception, all our objects have been verified and matched with the Interpol Data Base of Stolen Art Works. We believe in values and the authenticity of ancient works of art. Therefore we offer a flexible trade-up policy tailor-made for our customers, which is unique in the ancient art market. We are delighted to accept your object(s) back at any time and trade it up under the following condition: Your object(s) must be returned in the same condition once sold to you. The new object(s) considered by you is at least twice the value of the trade-in object(s) once acquired from us. We evaluate the actual value of your object(s) on the date of trade-in, guaranteeing minimum the same quote once paid. Additionally, if you should wish to part from your object(s) you are free to return any object(s) acquired from us at any time to have it placed in the market for reselling. We offer you many different ways of paying your object(s) – by wire transfer in USD, EUR or PLN (no service charge), by credit card (no service charge) or via PayPal (the service charge is 4% of the invoiced amount). All parties recognize the exclusive choice of Polish Jurisdiction with any matter arising from the purchase and the performance of the transaction. Place of fulfillment is the seat of the seller. All copyright, database rights, trademarks and any other intellectual property rights in and to the content of this webpage, such as text, graphics, logos, banners, images, buttons, underlying source code and software, is our sole property or the applicable licensor. Any use, including copying, reproduction, duplication, transmission or display of the content except the view for private purposes of this webpage needs our prior written permission. We reserve the right to change, add or remove any content from these Terms & Conditions of Sale at any time and at its sole discretion, by updating these on the webpage. Any changes to these Terms & Conditions of Sale are applicable immediately on the webpage. The German Embassy in Warsaw and the Capital City of Warsaw are planning, together with Polish and German partners, to revitalize the green area in Skaryszewski Park. Through the spatial combination of Polish and German garden cultures, a symbol of Polish-German friendship is to be created, which is planned to become a permanent element of the Warsaw park landscape. The initiative refers directly to the jubilee year, which we celebrated on the occasion of the 25th anniversary of signing the Polish-German Treaty on Good Neighborhood and friendly cooperation. The project aims to create a peaceful and friendly place among the greenery that will give individual visitors, groups and companies the opportunity to calm down and spend free time. PRIMA PORTA Antiquities is a Patron of this Gardens. We consider the financing of such important projects a responsible social activity. Please feel motivated to join us to support the initiative “Polish-German Gardens”. Analyzing the past 50 years and including the turbulences caused by the financial crisis shows, that Ancient Art enjoys an excellent midterm capital appreciation of 10 – 15 % p.a.Without doing anything, except enjoying the objects every day at your home or office. Archaeological artefacts, surviving the millennia in perfect stage of preservation, represent real, not speculative values. PRIMA PORTA offers tailor made investment plans for all collectors – covering those making their first moves to the most demanding connoisseurs. Please enquire to set up a personal meeting to find out the broad variety of possibilities like time-payments and others. As Ancient Art objects have never lost in value, we offer the unique possibility to up-trade any object acquired from us evaluated on actual values guaranteeing the minimum return of the previous investment sum. For corporate clients we have additional lease-to-buy options available. 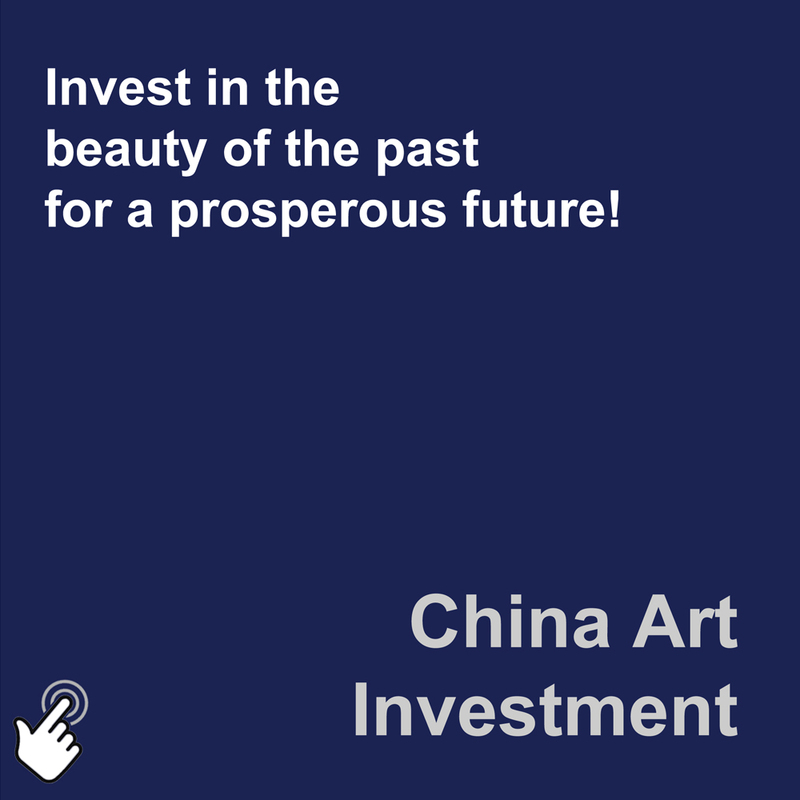 Market analysis show that Chinese art has achieved much better results than other types of assets such as bonds, real estate, stocks, raw materials and other valuable materials during the last decades. It appears to be an excellent alternative investment and a profitable addition that will help diversify the investment portfolio. Chinese art is not dependent on traditional investments, has been world-renowned for many decades and is sold on the world markets in a transparent way. Each sold work of art is subjected to a scientific tests carried out by independent laboratories and subject to the valuation of an external expert. The value and authenticity of all objects are guaranteed. Thanks to our unique partnership with the State Ethnographic Museum, it is possible to safely store objects in the museum, which will selectively present them at the exhibition. Ancient works of art, kept in private collections, are rarely available to be admired by the public. Usually, they are kept in the homes or offices of the collectors and just shown to a selected group of people. Especially their globally appreciated beauty and historical significance creating high material values was leading to our unique partnership with the National Ethnographic Museum in Warsaw. Thanks to this cooperation, owners of art objects have the unique opportunity to safely store their investments inside the walls of one of the most prestigious Polish museums. While enjoying highest levels of care by best educated and experienced specialists, objects will be selectively presented during professionally prepared museum exhibitions allowing the public to admire these rare objects d’art. Dr Matthias Renz, owner of Prima Porta Antiquities gallery, during the exhibition of selected ancient artifacts at the National Ethnographic Museum in Warsaw. Ojects on display from Han Dynasty are part of our portfolio of China Art Investment and are available to investors.